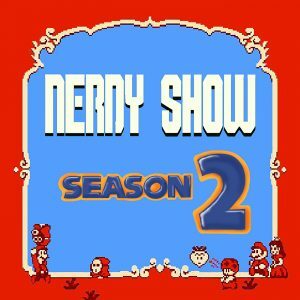 The first TRUE Nerdy Show season. Season two was recorded between August 21st, 2009 and December 31st, 2009. This season saw the debut and unexpected whirlwind success of Dungeons and Doritos, the onslaught of Blackest Night, the death of Ninja Turtles after 25 years of creator-ownership, and outstanding interviews with Pixelh8, I Fight Dragons, Roseangelo, and Atomic Robo insights from our very own Brian Clevinger. Get all past and future episodes by subscribing to us on iTunes! I love you guys, you make my boring work day as an accountant so much more enjoyable.